A Matter of Memories: :MEMORYWORKS EXPRESS: June 2011 Kit - "Just the Boys"
:MEMORYWORKS EXPRESS: June 2011 Kit - "Just the Boys"
This month's kit is about the "Boys" in your life. From the rich rustic reds to the fun summer splashes of yellow and green, this kit is all you need to highlight your "Boys" that mean the most! 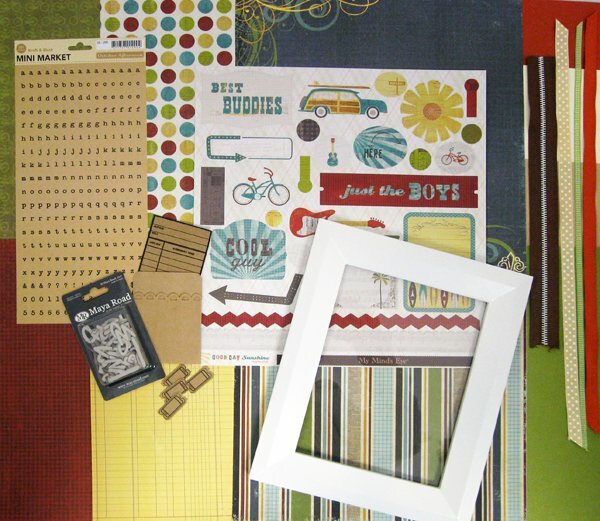 Check out the inspiring projects created by the MemoryWorks Design Team with this beautiful kit in the June Idea Express!